In his proposal to overhaul the country�s heath care delivery system, President Bill Clinton introduced the concept of �health care cooperatives.� In theory, all citizens would be required to enroll in a regional alliance that would furnish their health care needs. Never enacted, Clinton�s massive plan died in the Congress. The Patient Protection and Affordable Care Act (PPACA, Obamacare) is due to be implemented in 2014. Central to the new law, that is projected to give health care coverage to an additional 32 million lives, are state and regional Accountable Care Organizations (ACOs). As in Clinton�s plan, ACOs would be all-inclusive, regional healthcare delivery systems. Reportedly, half the states have already begun to study or are in the process of developing ACO models. The initial organizations are being designed to address the growing costs of the additional low income and disabled patients that are going to be covered by the expanded Medicaid program laid out in the new law. In theory, the ACOs will be comprised of physicians, hospitals, counties and community organizations that will operate under a risk-adjusted model where global rates are based on the total patient�s care rather than for each service rendered. This reintroduces the �bundling� concept that has been hotly debated in the past.� Also, using the incentives, similar to those in capitated systems, the participants (doctors, hospitals, etc.) are promised their fair share of any savings squeezed out of the ACO�s budget. This model, which introduces the potential for profit, also creates a financial risk to those same participants if their projected budget is exceeded. The premise behind this concept is that those who are vested in the system are the most likely to create efficiencies to protect their own self-interests. The problems with �bundling� and the capitation systems are several: The unknown outcomes that occur in the science of medicine that can lead to un-projected cost outlays. The potential for conflict between the participants, not just for any unused funds, but for control of the ACO. Finally, and most important, the potential for less than optimal patient care. None of these concerns are new. Scattered throughout the country, variations of capitated systems such as Kaiser/Permanente have operated similar programs with reasonable success for years. However, some of the concerns, such as loss of physician autonomy and limitation of diagnostic and therapeutic options for enrollees, have been born out. Still on average, these systems deliver health care that is up to the community standards. Extrapolation to a much larger population segment does raise concerns. The programs currently under development now involve the expanded Medicaid population. It is likely that those individuals with significant pre-existing medical conditions and workers of companies that would rather pay the fine than provide coverage will quickly follow suit. (A recent poll of employers put that percentage at 10 percent initially). What the designers and supporters of the ACO modes are assuming is that the efficiencies through shared information technology (electronic medical records) and economies of scale will create some of the necessary cost savings with the projected increase in covered lives. To add teeth to their premise, they have introduced both positive and negative incentives into this model. First, the ultimate death of private health care insurance. As more and more lives move into the ACOs where the risks and costs can be supplemented with federal funds and spread out among the other patients in the system, the remainder of employers will find themselves paying much more for coverage offered through a dwindling number of insurers. Feeling the pinch of these increasing costs, more employers will opt to pay the penalty rather than the escalating premiums for their employees. Thus, they will force these employees into the ACOs. With fewer lives to cover and with increasing loss of bargaining power with the providers of health care services, the traditional insurers may well divert their interests to more profitable venues in the insurance industry. As competition dries up, control shifts to the ACOs to set rates and parameters for care--- a move toward a single payer system. Even if the ACOs take over, affluence, proximity to a provider, urgency and wait time will still create some demand for noncomplex medical services. But as medical expenses continue to rise, more and more patients will opt to forgo these conveniences. In turn, financial uncertainty from decreasing demand will force most physicians into becoming part of the ACO systems. Questions then arise as to whether contacts will allow participating entities within the system (physicians, hospital, etc.) to also treat patients who are not enrolled in the system, except for emergent conditions, and under what fee structure. Due to the financial uncertainty from a smaller patient base, most physicians will move into and be forced to comply with any dictums set down by the ACOs. Third, and most important, the death of the independent practitioner. Will this happen if the PPACA legislation is allowed to stand? Not at first. Since the Supreme Court has allowed the States the right to choose to not participate in the expanded Medicaid program, the ACO model of delivery will, at first, be only another choice in financing health care delivery. Additionally, the winners of the upcoming election could vote to overturn this controversial legislation. One thing that can be predicted is that the concept behind the ACOs, the �health care cooperatives� and the capitation models is not going away. Incorporating economies of scale with shared information technology into any solution is essential if this country is to meet this country�s growing health care needs. 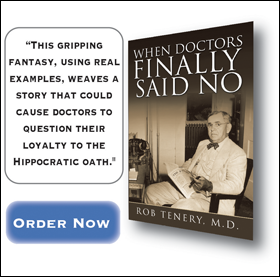 However, without a pluralistic approach to the delivery of health care, not only do physicians relinquish control to a central authority, they and their patients become nothing more than Xs and Os on a computer printout. (1)�������� Fiegl, C. American Medical News. July 23, 2012. P. 8.